Khimsar Fort was the fort where Aurangzeb used to come to spend his leisure time. Now it is converted to a hotel but still stands tall narrating stories as old as 500 years. 42 Km from Nagaur it has plenty of temples to explore as well as enjoy the presence of Black buck roaming in the vicinity of the fort. The fort is a must visit to see the grandness personified in every bit and every corner of the fort. When at Khimsar do visit the Khimsar Sand dunes village which is an eco friendly village set up to enjoy the tranquility of the sands of the Thar Desert. 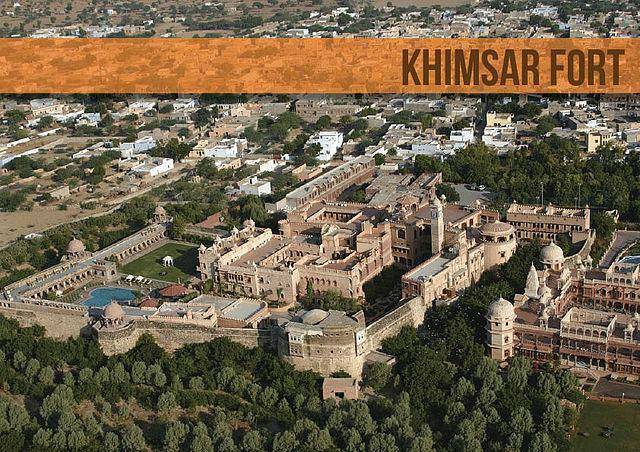 Khimsar is located 528 Km from Delhi.